Barton's Mill Pub & Dining is a unique converted mill, steeped in history and set in the beautiful surroundings of the Hampshire countryside. With its own lake and river complete with swans & ducks, (and the odd otter!) and remnants of a working water wheel set alongside an extensive pub garden the pub is a great place to relax in the summer. We serve home cooked seasonal food every day with gluten free options along with an extensive wine list, real English ales including Wadworth 6X and some superb gins. There is free Wi-Fi, plenty of parking and a great range of teas and artisan roasted coffee (and hot chocolate!). 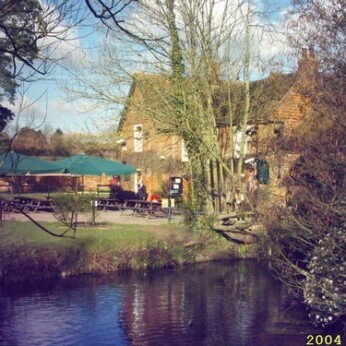 Barton's Mill Pub & Dining is available for hire and is a perfect venue for family celebrations, weddings or wedding receptions and we hold a civil wedding licence.